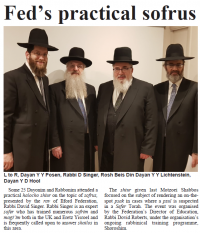 MaaserText is a service of the Federation Beis Din that has been set up to deal with an increasing demand for assistance with separating Terumos and Maasros from produce grown in Eretz Yisroel. Many people are not educated in the practical observance of thesemitzvos. 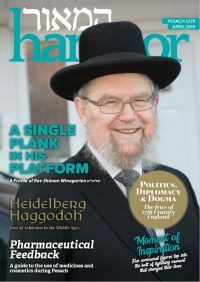 Some people may initially choose to avoid purchasing these fruits and vegetables, in order to avoid the halachic issues involved, but once the produce is bought (and sometimes already cooked), they find themselves being required to separate the necessary tithes. MaaserText is on hand to provide practical and easy instructions to facilitate the correct tithing of produce from Eretz Yisroel. Avocados, peppers, dates and figs from Eretz Yisroel are currently on sale in UK supermarkets and will need to have Terumos and Maasros separated before eating. Since its establishment in 1887, the Federation’s mission has always been to provide centralised services to its member Orthodox communities, while allowing them to retain their individuality and distinct identity. The Federation today comprises 17 Constituent and 9 Affiliated shuls in London and Manchester.